Internet has a unique way to identify the users. When you surf internet, it recognizes you through a unique address called an IP address. Your ISP provides you that particular address. Millions of users surf internet daily to shop, read, download, upload files, entertain and educate themselves. With the ever increasing traffic on a number of websites available for said purposes, internet has become vulnerable to security threats, cyber crimes, hack attacks, information misuse, copyright infringement, surveillance, more often than not. Sometimes, even your own trusted Internet Service Provider (ISP) keeps a vigilant check on you. In the wake of increasing traffic and such threats, users like us are bound to suffer. To hide an IP address, you need to use a virtual private network (VPN). A VPN essentially hides IP address under a secure cover, through which no one can penetrate. What a VPN does then? It simply cloaks your original IP address under another IP address called a pseudo IP address to protect you from the hack attacks. Once the pseudo IP takes over, your original IP address remains safe. A VPN provides an added security layer to help you hide your IP address so that no one, even the ISP can have unauthorized access to your original IP address that is hidden, thanks to the VPN connection. A VPN uses encryption to generate a pseudo IP to hide IP address of yours. Once encrypted, you, as an avid internet user can browse whatever you want online. A VPN does not only hides an IP, but also makes a user anonymous over the internet. Hence, a VPN provides you the freedom to carry out your activities without any fuss and hiccups. How Ivacy VPN Hides Your IP Address? Hiding an IP address has never been so easy. Ivacy VPN provides the ultimate luxury to its users with military-grade mechanism to hide an IP address, thus making it impossible for the intruders to breach into your account. Ivacy VPN also protects your personal information along with your own IP address by denying any misuse of your IP address. Want to hide IP? Ivacy VPN is your best bet. Ivacy VPN’s state-of-art encryption technology guarantees round-the-clock protection of your IP, thus ensuring that you have the ultimate and flawless browsing experience with Ivacy VPN. Ivacy VPN does not only help you hide your IP address, but it also helps you change your geographical location over the internet. Now, you can access any information over the internet. Whether they are US-specific websites or UK-specific websites, you can simply access the information from anywhere in the world, by using Ivacy VPN. With more than 275 servers available in 100+ locations all over the world, Ivacy VPN provides you a range of excellent features, you will not find anywhere. With a sound rapport amongst the top tier VPN service providers, Ivacy VPN has become the premier choice for internet geeks. It’s your turn now. With P2P file sharing protocol available, you can now use torrents without any fear or discomfort. Upload, download, and share your files at great speeds and get top notch performance of your P2P-optimized servers while keeping your IP hidden and secure. Hide your IP address and share your torrent files with your friends. 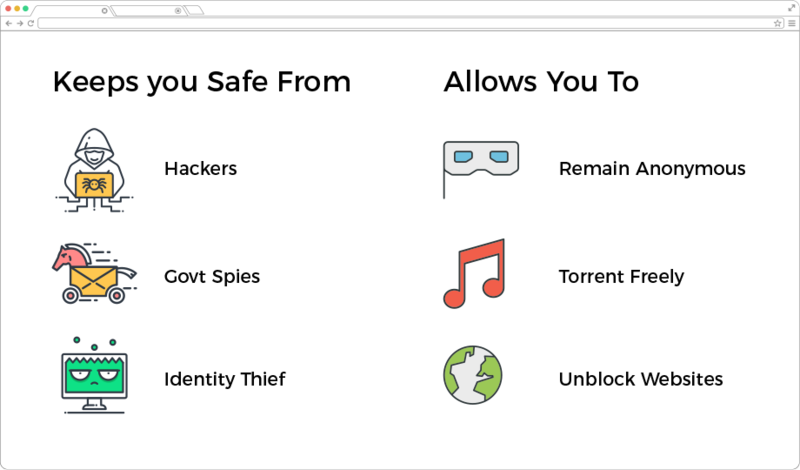 Ivacy is a torrent friendly VPN, which ensures that you remain safe and sound and enjoy a flawless and seamless online journey and torrenting experience like never before.